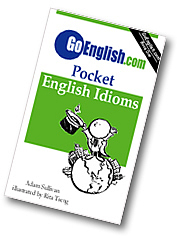 Today's Idiom = "Be Sick"
You are sick when you are not feeling well and have a health problem. Example: "Is it true that you mother has cancer?" Reply: "Yes, she has been sick for three months." Example: "Did you see that car accident?" Reply: "Yes. It was sick."